It's time for us to stand up to put an end to the slow erosion of rural communities. We've been watching it happen decade after decade – lost businesses, hospitals, schools, even post offices – no matter who we send to Washington. It's time for a serious change, and the first step in that direction, the first step in reinvigorating rural community life in this state and beyond, is recognizing who profited from the decline of rural community life – and than demanding that the beneficiaries make amends. I propose that we take the billions in tax subsidies passed on to the wealthiest corporations on the planet, each and every year, and we use those subsidies for small rural businesses. Please help me reinvigorate rural Nebraska. Together we can put hope back into the smallest villages. My campaign is about ending the decades-long erosion of rural communities. 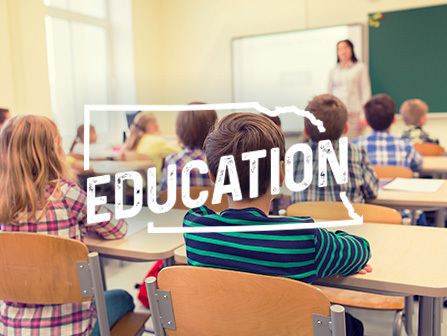 To that end, I will work legislatively to declare a moratorium on rural school consolidation in this country, a policy that does severe and lasting damage despite the fact that it 1) Doesn't save tax dollars, and 2) Doesn't improve student outcomes. The research on both counts is plain to see. What rural school consolidation does do is diminish a sense of community, and damage any hope for a more vibrant future. Second, I will work to render standardized testing optional for any district that can demonstrate to its community that their students are learning at a high level. We have witnessed a testing explosion in this country, all in the interest of maximizing corporate profits. Enough already. For years farm income has not met the cost of production. Yet while farmers and ranchers struggle, corporate agribusiness profits skyrocket. This is far from a coincidence. Agriculture policy is built to maximize agribusiness profits. In fact, the logical conclusion to our current policies is the absence of market competition, resulting in the reduction of input options for farmers and ranchers down to merely one â€“ a high priced one. It's already happening, and it's time to flip that script. We need agricultural policy that won't force farmers and ranchers to constantly stretch themselves to acquire more land, to scramble for untold hours during a workday, only to stay in the same economic position. We need to provide farmers and ranchers relief from corporate competitors. If we value a countryside composed of independent producers of food, we must reverse policies that favor corporations. Our ancestors demanded it; it's time for us to demand it as well. America's egregiously expensive for-profit health care system is an enormous burden on American families and businesses. Our current system stifles entrepreneurship – would-be entrepreneurs cannot afford to take chances knowing that when a serious illness strikes, all is lost. In fact, our health care system is the number one cause of bankruptcy among farmers and ranchers. We MUST put an end to this. We may live in town, but all of us have deep rural roots. Everyone knows that kind of neighborhood ethos at work in the Nebraska countryside. If a farmer becomes ill just before harvest, what happens? Do neighbors look at his misfortune and say, "Good, I can make some money off of that." No. Neighbors come together and get the harvest in, expecting no compensation for doing so. That ethic is the very same ethic embedded in Medicare for all. The alternative, neighbors looking to make money on another neighbor's misfortune, that's our current health care system. Everyone loves Medicare. Everyone will love Medicare for all even more.